Home Resources Will Latin America see big changes in the Caustic Soda and Polyvinyl Chloride markets? 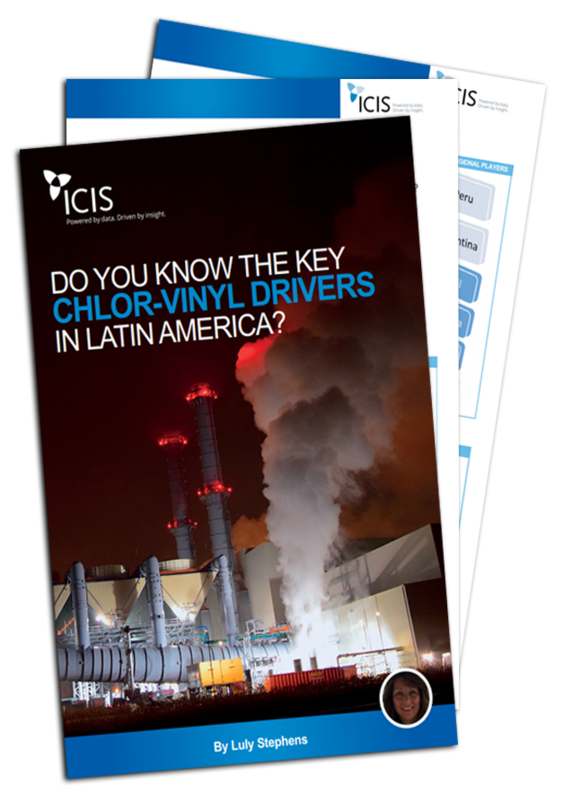 Will Latin America see big changes in the Caustic Soda and Polyvinyl Chloride markets? Find out what is going on in the Caustic Soda and Polyvinyl Chloride (PVC) markets to help you make more informed business decisions with ICIS. Market expert Luly Stephens provides an in-depth look at the Caustic Soda and PVC market trends and key drivers for 2019. Don’t miss out. Stay on top of market changes with ICIS. Download the insight here.